GlobalSecurity.org - SITREP Situation Report | First Syria, Now Ukraine: What Explains the U.S. Public's Reluctance to Intervene? First Syria, Now Ukraine: What Explains the U.S. Public's Reluctance to Intervene? During the past 12 months, surveys of US public opinion have shown a strong reluctance to involve the nation in new conflicts abroad, notably in Syria and Ukraine. This, in turn, has inspired speculation about an "isolationist" turn in American public sentiment, its possible sources, and likely trajectory. Do public attitudes about new and ongoing military activism signal a broader "retreat" from global engagement? Or is the shift in public sentiment focused more specifically on the tenor and means of US global policy during the past 13 years? William Galston of the Brookings Institution argues that neo-isolationism is real and related to domestic economic woes. Walter Russell Mead also sees isolationism in public attitudes about Ukraine and Syria, although he argues that it's a cyclical phenomenon whose consequences will soon inspire re-engagement. Galston and others point to a variety of factors that reinforce a focus on the home front: the jobless recovery from the 2007-2009 Great Recession, the real decline in median family income (which today equals the level of 1989), growing income inequality, concern about public debt, the decline in American competitiveness, and the rise of new economic powerhouses abroad. Numerous opinion surveys show that, since 2007, fiscal and economic concerns have displaced worries about foreign borne threats at the top of citizen national priority lists. Mead believes that Russian and Chinese assertiveness (as well as crises in the Mideast) may soon extinguish the current bout of grassroots "neo-isolationism." Opinion surveys do indicate increased US public concern about both Russia and China, for instance. This is not (yet) matched by public willingness to ramp-up global activism and commitments – in fact, quite the opposite. But public opinion can be nudged toward a more activist stance as policy leaders coalesce around more muscular rhetoric and offer alarming predictions of what a failure to intervene might incur. Keeping the rhetoric hot regarding Ukraine can also advance other policy objectives. Among these are the desires of some NATO leaders (and especially the United States) to see European NATO countries boost their defense spending. And the Ukraine crisis can serve to bolster the Pentagon’s case for breaking loose of budget sequestration. Among the US armed services, the US Army might especially see its budget prospects improve if public concern about Russian behavior in Europe grows. So, a variety of strategic goals and institutional interests may keep the rhetorical fires burning. Can the public be walked toward accepting a boost in defense spending as well as more assertive military activity abroad? Galston suggests a shift in attitudes and underlying factors that may be profound enough to override the type of cycle that Mead detects. America’s current economic and fiscal woes are unusually acute and they reflect global economic trends that suggest no early or easy respite. The shift in global economic power that is now underway will produce a circumstance – a new global economic balance – unlike any America has experienced since the 19th century. The effects of this, which Americans are already experiencing, cannot be simply talked away. In this light, the public’s current “war-weariness” may prove especially tenacious. Since 2001, US military engagements abroad have yielded too little manifest security at too high a cost: $1.75 trillion (2015 USD) in spending on Overseas Contingency Operations alone. (In addition, baseline Pentagon spending has exceeded the 2001 level by a total of another $1.7 trillion over the past 13 years, adjusted for inflation.) These sums together significantly exceed the budget savings targets set in the 2011 Budget Control Act that has gripped American politics for the past four years. How does the public assess America’s major military involvements of the past 13 years? Today, the public views the use of force in Iraq to have been a wrong decision by a 50% to 38% margin. The use of force in Afghanistan fares better with 51% to 41% considering it the right decision. However, Americans also believe by a 52% to 38% margin that the US effort in Afghanistan was mostly a failure. These are not encouraging assessments given the cost of these wars in money and lives (6,800 US military fatalities). Despite the 13-year war on terrorism, deaths due to terrorism are today much more numerous worldwide than in the first years of this century and Americans’ fear of terrorist attack remains high. However, rather than fueling support for military intervention abroad, this fear serves as another inhibiting factor. With regard to the Syrian conflict, for instance, 60% of Americans believe that direct US involvement would increase the threat of terrorism. Only 3% see intervention as likely to decrease the terrorist threat. Pew Research Center opinion polls that test for “isolationist” sentiment have shown an almost uninterrupted decline in support for global engagement since 2004. Looking back, similar shifts in opinion were evident during the periods 1964-1976 and 1992-1995. All of these periods encompassed years of troubled military operations abroad or they followed the conclusion of major confrontations. This accords approximately with Mead's hypothesis. However, the recent decline in public support for engagement is the deepest yet -- by far. Here's the hitch: The American public generally expresses greater concern with events at home than those abroad when the choice is posed as a simply binary. When national priorities are disaggregated, however, concerns about security policy often rise to the top of the list, as was the case for the first five years following the 11 Sept 2001 attacks. The public's expressed priorities changed rather dramatically across many polls during the course of 2007 as concerns about jobs, the economy, the national debt, and health care rose to the top. Public concern about domestic issues – principally the economy – has dominated priorities lists ever since. This clearly indicates the impact of the nation’s economic and fiscal woes on how the general public is weighing foreign policy concerns. But does it signal "isolationism?" This closer look at a range of survey questions over time suggests that war weariness and profound economic changes have combined to uniquely skew public poll responses in an apparently more isolationist direction. But this does not imply a general retreat from world affairs. By some measures, the American public remains quite internationalist in its outlook. As it turns out, terms like “global engagement” and “isolationism” are too broad to usefully represent US public opinion. Different forms and degrees of engagement need to be distinguished, for instance: cooperative approaches versus unilateral ones, and military versus non-military engagement. In the series of polls conducted by both the Pew Center and Chicago Council, significant majorities of Americans consistently have supported US participation in international institutions as well as cooperative multinational approaches to addressing world problems – as long as leadership, responsibility, and burdens are evenly shared. Americans also strongly support energetic participation in the world economy – as long as care is taken to protect American jobs. What attracts little support is the role of the United States as global hegemon, sole leader, or "most active" leader. This may explain much of the “anti-engagement” sentiment apparent in some survey results. (PRC CHART; CCGA CHART) And the 2012 Chicago Council survey found 78% of respondents agreeing that the United States was “playing the role of world policeman more than it should.” (CCGA 2012, p. 11) The survey authors observed that this view was virtually unchanged since 2004. Both the Pew Center and Chicago Council series also show that the US public routinely prefers resolving conflicts by diplomatic means, usually inveighing against forceful intervention overseas until the point that troops are actually committed and conflict commences. When asked about overseas military operations in a general way, majorities do support intervention to stop genocide, prevent humanitarian catastrophes, and secure the flow of oil – a mix of high-purpose and self-interest goals. (CCGA 2012, p. 17) By contrast, the public routinely disfavors involvement in foreign civil conflicts and interstate wars, even those that figure centrally in the web of US overseas commitments. For instance, the 2012 Chicago Council survey found 56% of Americans opposed to using US troops in the case of a new Korean war and 69% opposed in the case that China invades Taiwan (CCGA 2012, p. 17). Relevant to US military activities abroad, a series of Gallup polls show that the Great Recession also had a distinct and lingering impact on public sentiment about defense spending. Every year since 1969 Gallup has asked respondents if they think the United States is spending too little, too much, or the right amount on defense. Polling by the Program for Public Consultation has shown that the US public actually has little accurate idea of how much America spends on its military – not in absolute terms, nor relative to other federal spending, nor relative to what other nations spend. Nonetheless, national media may convey to the public a good sense of whether defense spending is on an upward or downward slope. Polling results on this question may also reflect public reactions to strategic events, attitudes about the use of American military power, and sentiments about national priorities. So what do the Gallup surveys show? Between 2002 and 2006, the portion of the public saying that we were spending too much on defense grew steadily. (CHART) In 2006, that view began out-polling the view that we were spending too little. It then took another and distinct leap upward in 2007 and 2008, as the economic crisis unfolded. Although it receded some with the election of a Democrat to the White House, it leaped upward again in 2010 and 2011, as public concern focused on the federal debt and deficit. During these two years, the feeling that America was spending “too much” on defense out-polled “too little” by about 40% to 23%. Since 2011, the Pentagon’s base budget has declined by 12% in real terms. With this, the public’s sense that we are spending too much on defense has moderated somewhat, although in Gallup’s February 2014 survey it still beats “spend more” sentiment by 37% to 28%. So far, neither loose talk of American global “retreat,” nor Pentagon leaders’ claims that budget reductions imperil the nation have gained much traction with the public. Security policy and decision-making is hardly bound by public views, however. Indeed, leadership views are often at odds with public preferences, especially with regard to the use of force. Today, leadership hawks are on a march, both with regard to military engagement overseas and Pentagon funding. So, despite the trend in public attitudes, it’s not hard to imagine a 2016 election contest in which the major presidential contenders are locked in a tough-talk bidding war to boost Pentagon spending. This post was written by Carl Conetta and originally published in the Reset Defense Bulletin on 22 April 2014. 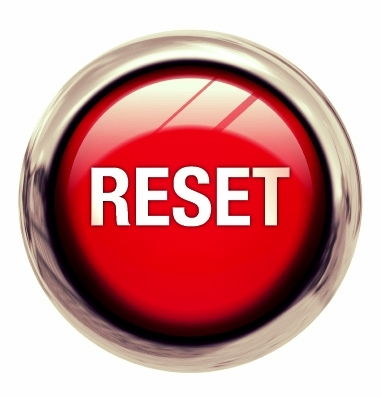 Past issues of Reset Defense from July 2013 to present are archived here. Issues published from September 2011 to July 2013 are available here. Access to current and archived issues is free. To receive the latest edition of Reset Defense as soon as it is published, click here.